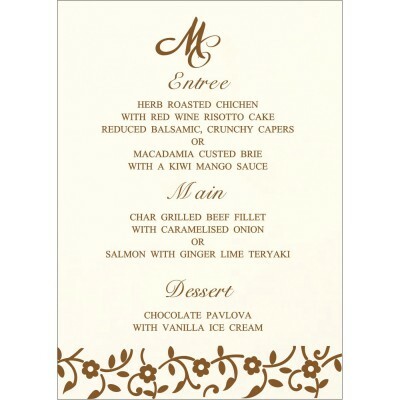 Menu Cards are an important constituent of any wedding; it is an inclusive blueprint of all the delicacies that one shall witness on its dining table. 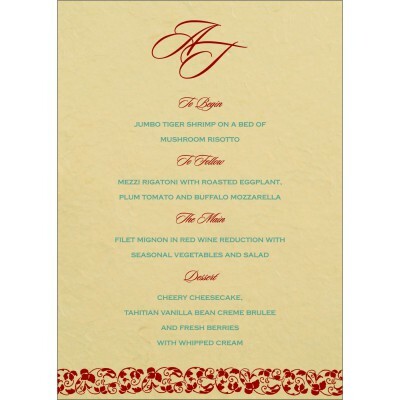 Hence, it becomes a necessity to make a proper selection of Wedding Menu Cards. 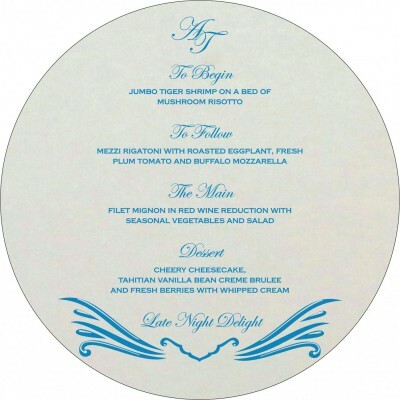 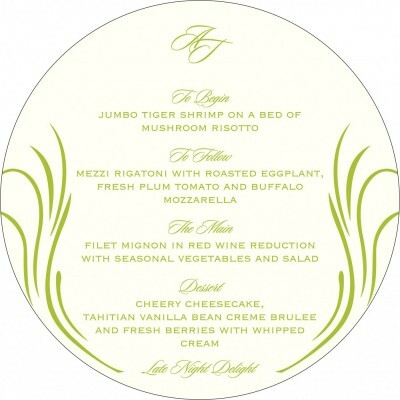 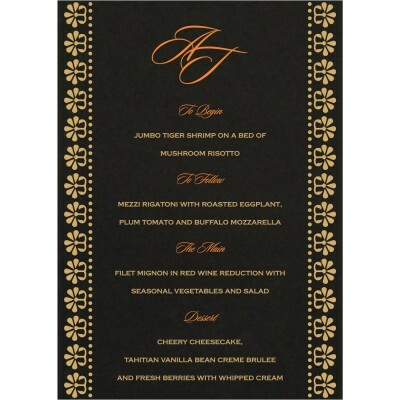 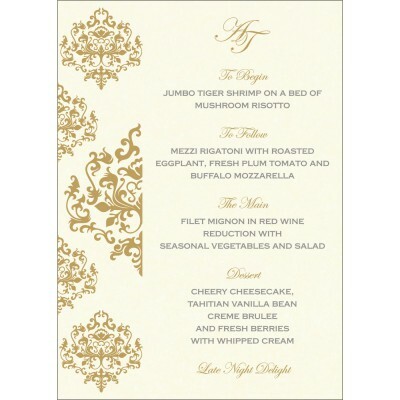 Jolt your guests with a startling menu card as soon as they approach their dining table. 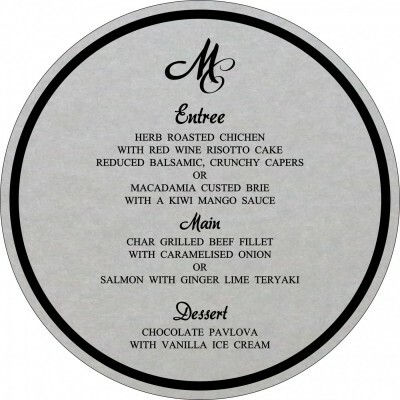 Whether the wine and dine is in your backyard or in any majestic eatery, you can always surprise your guest with innovative Menu Cards particularly culled for your big day. 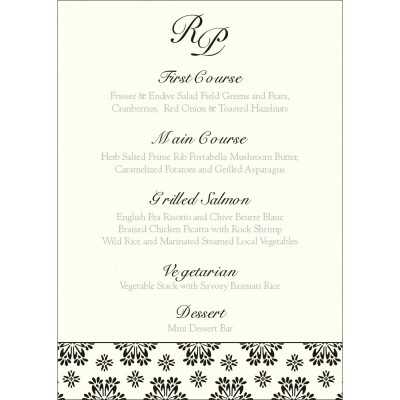 A wise use of font styles can lend a fabulous look to your Menu Cards. 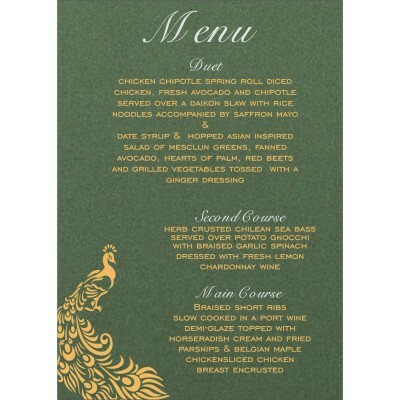 Hand-pick the one you liked the most from a vast array of colors and designs. 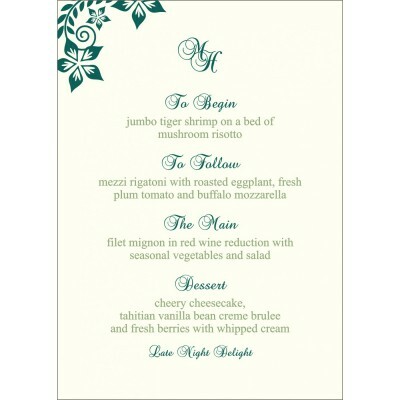 Theme based weddings are a hip these day! 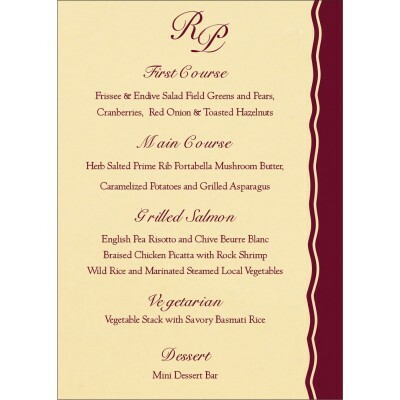 Why to keep your Menu Cards far-off from its influence? 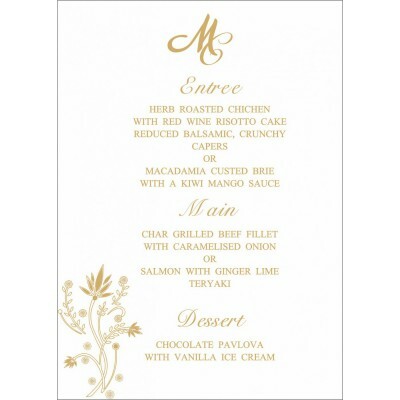 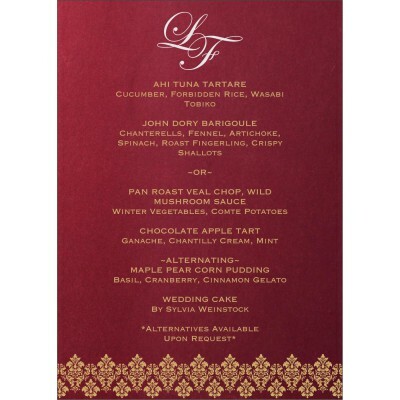 Your Menu Cards can also go theme based; Font style, design and color of the Wedding Menu Card should go parallel with the theme you selected. 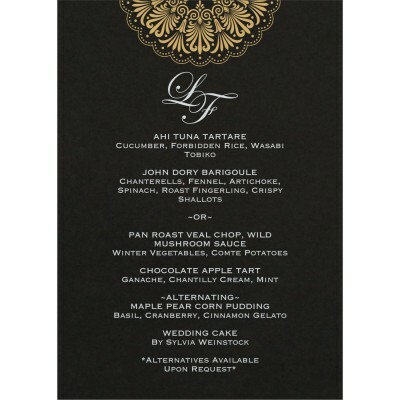 This will culminate your wedding day preparations. 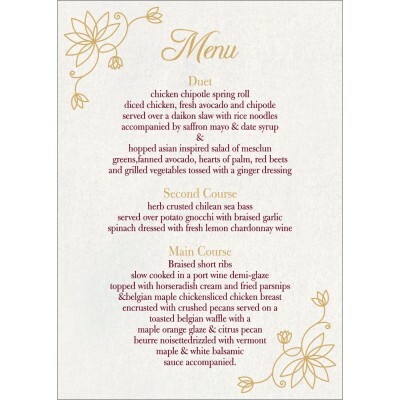 To get an exclusive chunk of wedding stationery items including Thank you cards, Place cards, Menu Cards, Program Booklet Cards and R.S.V.P Cards, try to order all of them from a single vendor. 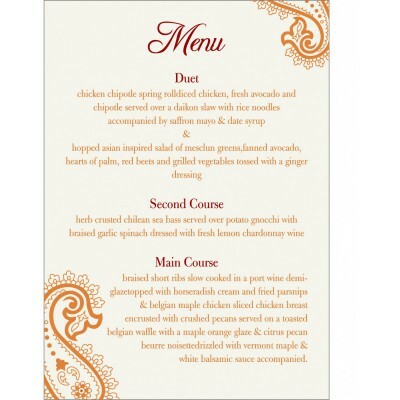 This will not only save your time but at the same time will also assure that all add-on cards are meeting the same quality standard, have a similar finishing touch and are on the same page. 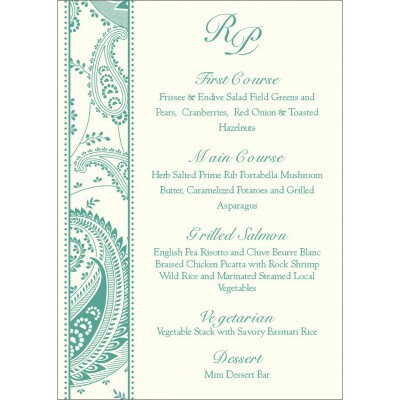 We will be pleased to comfy your wedding stationery requirements. 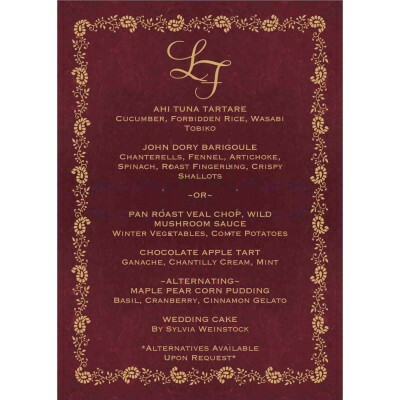 Happy Wedding!